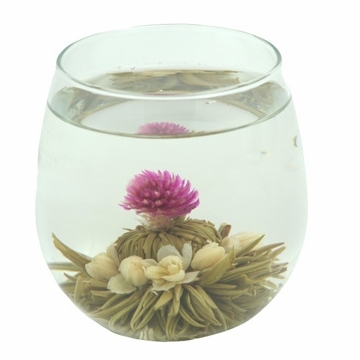 This is a delicious tea, as well as being beautiful to look at. It has a delicate floral flavor, not at all overwhelming like some floral teas. The white tea leaves have a mellow taste, never bitter. Side note: Enjoying Tea is a fantastic company!